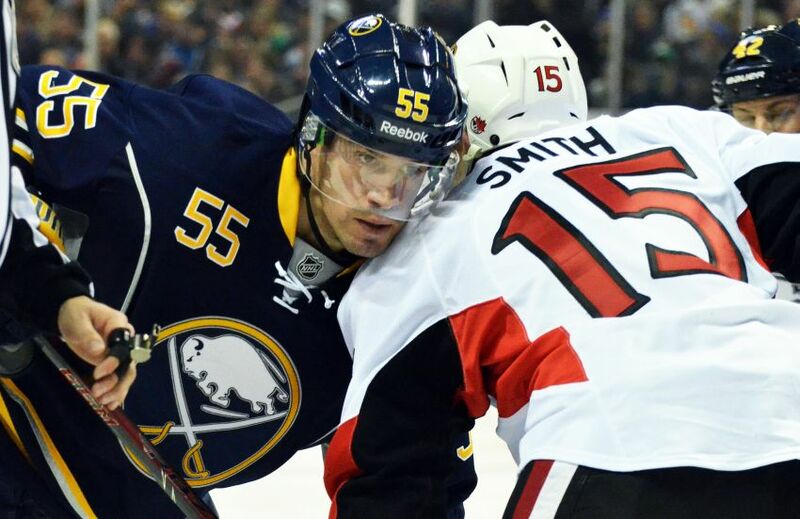 Which Sabres forward would Rolston sit if Kaleta returns? Considering the Buffalo Sabres have lost two straight, six of seven (1-3-3) and rank 14th in the Eastern Conference with only 10 wins and 24 points, this shouldn’t be hard, right? So, assuming the Sabres put agitator Patrick Kaleta back in the lineup Tuesday in Montreal, which forward should Ron Rolston scratch? The Sabres’ interim coach didn’t want to bench anyone Sunday in Washington when Kaleta was eligible to play following a five-game boarding suspension. Of course, sitting a sixth game irked Kaleta. By the way, can anyone remember the last time a coach refused to tinker with a lineup after a loss? But he can’t sit Kaleta, a heart-and-soul guy, forever. – Jochen Hecht: Despite playing top-line minutes much of the season, the graying German has only two goals and eight points. Rolston scratched Hecht on March 7 in New Jersey, the first time in 10 seasons with the Sabres he had ever sat when healthy. –Nathan Gerbe: The diminutive winger has zero goals and just one assist in the last six contests after scoring three goals in a three-game stretch, his first scores this season. Gerbe skated more than 18 minutes twice earlier this month. He skated 7:26 on Tuesday and 9:34 in Sunday’s 5-3 loss in Washington. –Kevin Porter: Porter, a Rolston favorite, has enjoyed some chemistry centering Marcus Foligno and Brian Flynn. But the 27-year-old has zero goals and one assists in 12 games this season. He needs to produce more offense.